My “to make” list is getting out of hand lately. And sometimes those late night scribbles have me scratching my head the next day as I’ve written down just single words like “cream” or “beer” and cannot recall what I was trying to reference. I think I need to keep a recorder by the bed. But then transcribing the next day might prove to be just as perplexing. Alas, there is nothing more straightforward than an Old Fashioned. Liquor, bitters, sugar, it’s all wrapped up neat for you and tastes good without all the extra foo-foo. Ok, so maybe a bartender is throwing on a flamed orange peel, or adding in a brandied cherry, or doing just a little bit of foo-foo-ness. But instead of adding on more, I thought I’d take a look at the base ingredients. The Smoky Citrus Rum Old Fashioned was just the start of delving into looking at the Old Fashioned and seeing what new flavor combinations I could make work. This all stemmed, by the way, from another scribbled note for ideas that read “cleaned up old fashioneds with interesting bitters”. I mean, you could build 100 drinks off of that comment. And I just might do that. But for now I’m just giving you two. And this one has a DIY project! Yay! First, I realized that you all were going to get bored real quick if the only thing I was doing was changing up the bitters. Hell, I got bored with that idea after 2 minutes and moved on to the idea of homemade sugar cubes. So easy, right?! Wrong. Well, it’s going to be easy now because I spent the better part of a month trying out techniques and perfecting this. For you guys. These smoked sugar cubes taste amazing with sour cherry. Instead of doing that blasphemous thing where you muddle some neon cherries in a glass and call it and Old Fashioned, here I’ve combined sour cherry bitters from Miracle Mile with some tasty bourbon to compliment the heady smoked flavor of the cubes. 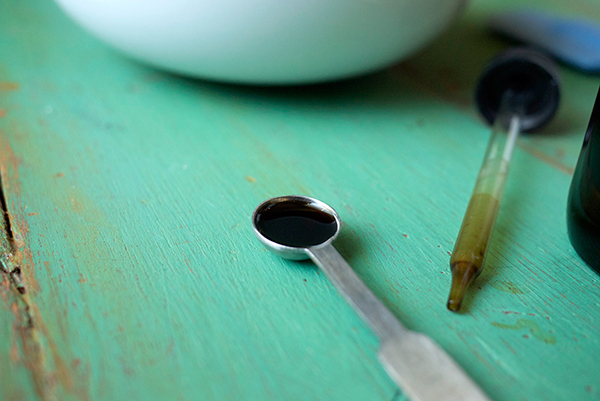 Combine sugar, smoke tincture and water in a bowl. 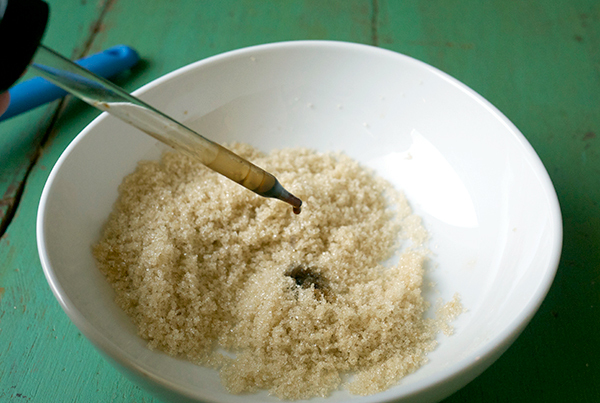 Mix until well combined, similar to the texture of wet sand. Pack sugar into a mini ice cube tray, tamping down each hole. Alternatively, you can spread mixture out in a 1/4 size sheet pan (you might want to double the recipe amount) pressing down hard. Let mixture sit out to dry overnight. 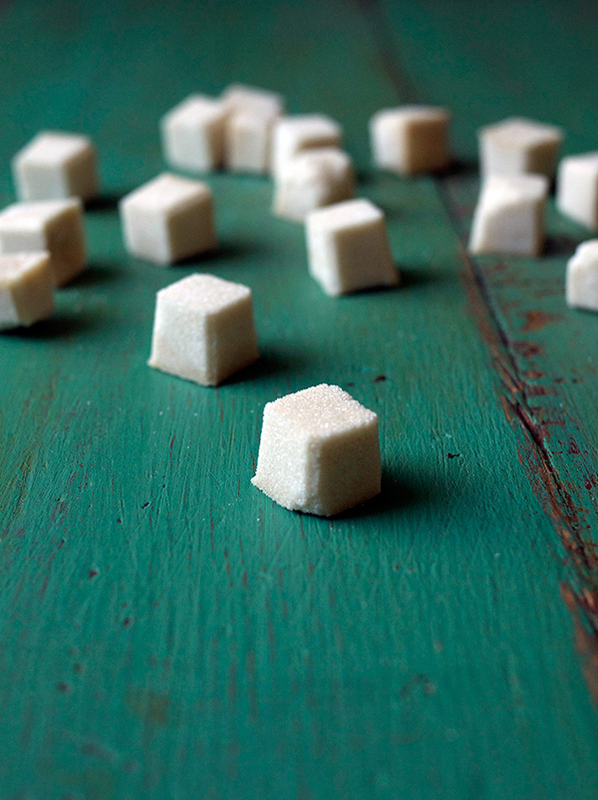 When sugar has hardened, pop cubes out of the molds, or cut cubes to size. Store in an airtight container. In a mixing glass, add sugar cubes then dash in bitters. Muddle to combine. Add ice 1/2 way up glass and pour in whiskey. Stir to combine about 20 seconds. 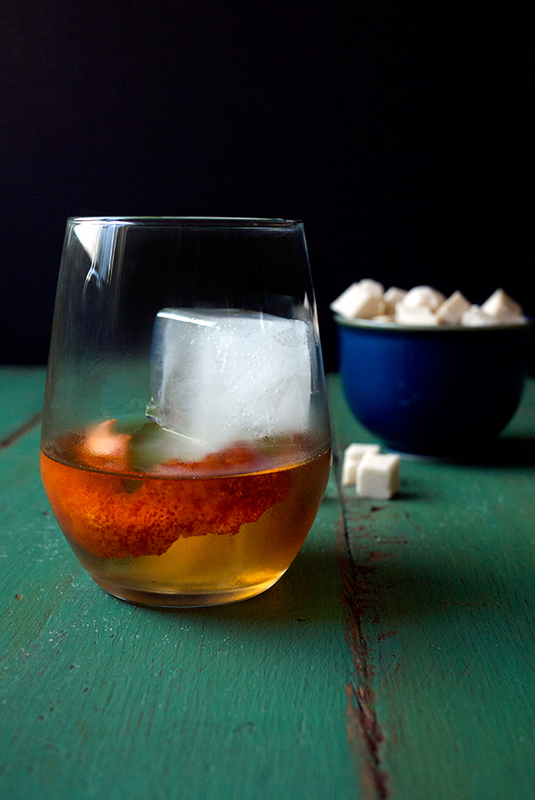 Strain into a rocks glass with a single large ice cube or 2 smaller cubes. Express orange over the glass and add in peel. The smoke lingers in the back but adds a strong backbone to the drink. 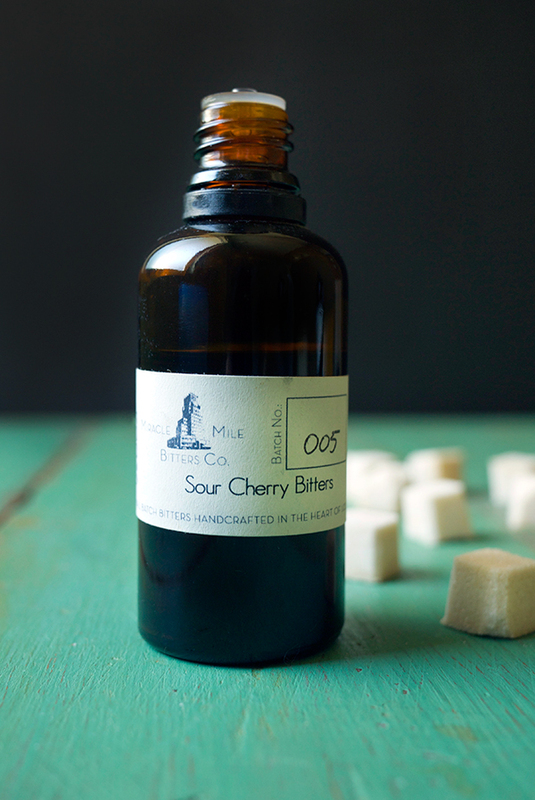 Sour cherry bitters add just a touch of bitterness and some sweetness to the rich bourbon. I chose the blood orange for just a hint of citrus and mainly for aesthetics due to the lovely red speckling all over the orange peel. These sound amazing! I’m with you 100% on the complete un-necessity of neon cherries. Nope, Nope. No thank you. This is just terrific….flavored sugar cubes! I have never ever heard of doing this and am just thrilled to learn how. I love your blog and this post is one of the many reasons why. Thanks so much! Have fun making them! Wow! Flavored sugar cubes! That’s such a great idea! Great ideas in this post.